Will rebuild / repair GM instrument clusters. Repair starting at $79 and full rebuilds starting at $119. FAST turnaround. For rebuilds, no partial jobs or corners cut, FULL REBUILD, FULL WARRANTY. All stepper motors replaced with the new, improved style. Display bulbs replaced, full circuit board inspected and re-soldered as necessary. Bench tested and calibrated. Includes Free Return Shipping. For more information go to WWW.FORELLECO.COM or call or email us from this ad. We also offer LED upgrades in blue, white, red, or green. 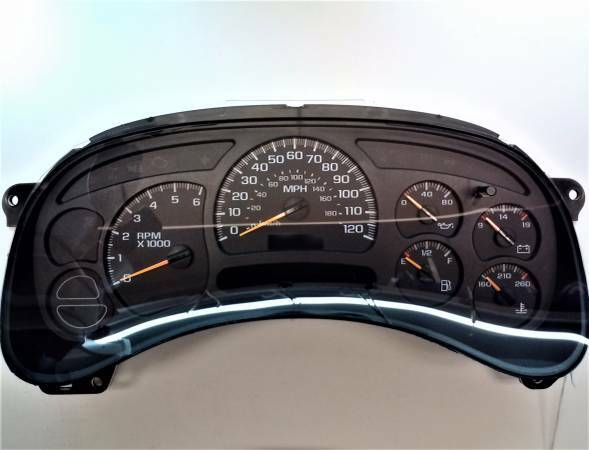 Get your speedometer, fuel guage, tachometer, etc working like new with a clean, bright display. Includes 03 04 05 06 07 08 09 10 11 12 gmc chevrolet chev chevy sierra escalade denali suburban 1500 2500 silverado avalanche tahoe yukon trailblazer envoy Impala enclave acadia traverse and many more.